Correa pulchella Pink Eyre blooms from mid Winter through late Fall, seemingly always in bloom. The Pink Eyre cultivar is more upright than the species. 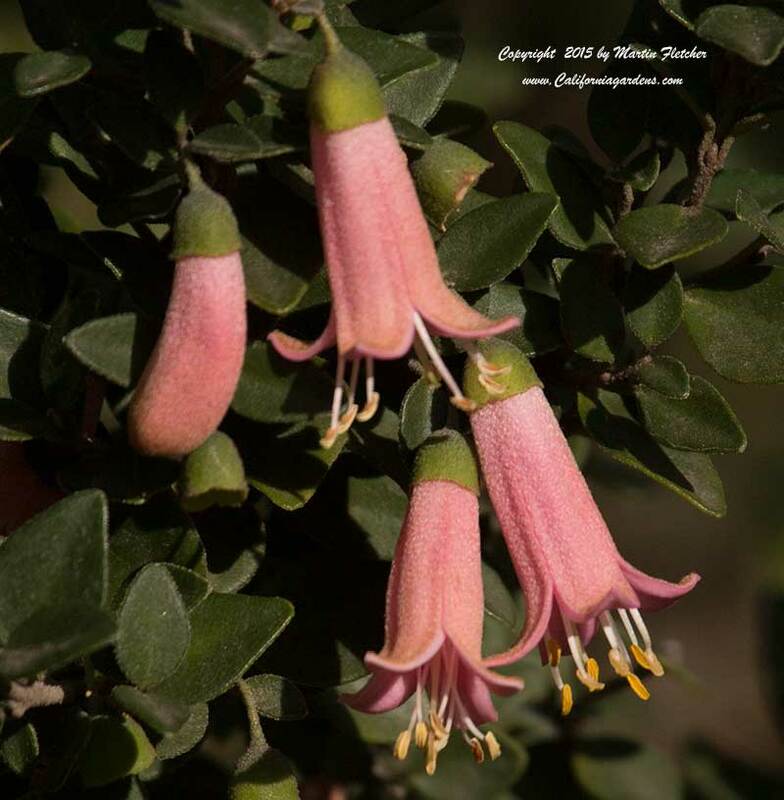 With such a long blooming season, low water requirements, Correa pulchella Pink Eyre is an excellent choice for the drought tolerant garden. Correa pulchella Pink Eyre grows to 3 feet tall and up to 5 feet wide. Plants will grow in full sun and will tolerate light shade. Correa pulchella is hardy into the low 20°s F.
Flowers and foliage of Correa pulchella Pink Eyre - Pink Eyre Australian Fuchsia. High resolution photos are part of our garden image collection.